Remember when one special beloved plush friend went with you everywhere, joined all your adventures and heard all your secrets? Remember when every day was an endless adventure and the world was full of wonder? Let’s admit it. It’s easy to forget. Because being “all grown up” can leave you feeling a bit frayed around the edges. If you’ve ever felt that way, (and who hasn’t?) 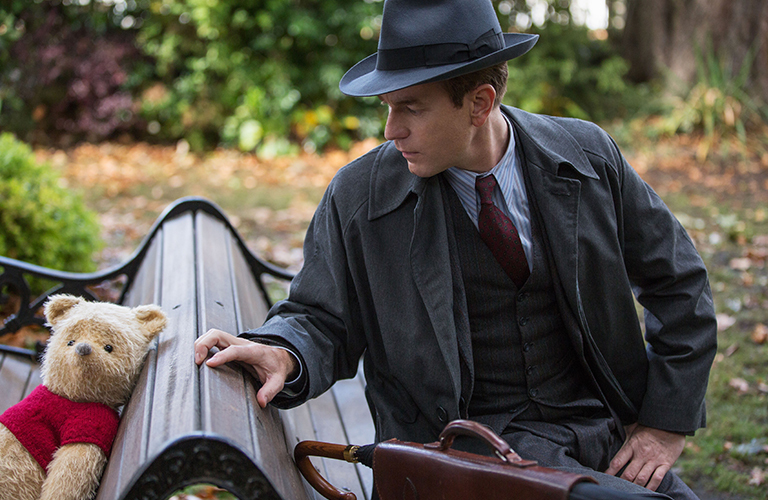 you’ll identify with Christopher Robin (Ewan McGregor) in the new Disney film Christopher Robin in theaters August 3rd. Christopher is all grown up and has all but forgotten his idyllic childhood. He could use a little help from a friend. To create a photorealistic version of Winnie the Pooh and his friends who would feel familiar to audiences but also fit into the live-action world, filmmakers drew on E.H. Shepard’s classic illustrations from the original 1920s books as well as years of Disney animation art. “The characters in the film are computer generated animation, but we needed real stuffed animals as reference when we blocked the scenes to give the actors something real to react to,” Burr explains. Between 20 and 30 different fabrics were used to create the stuffed Pooh Bear which was distressed to look a little worn and tattered. Pooh not only looks well loved, he sounds as warm and gruff as we remember, thanks to the talents of veteran voice actor, Jim Cummings who has played Winnie the Pooh in Disney animated features since 1988. “Just hearing Jim’s voice pulls my nostalgia heartstrings,” Burr says. 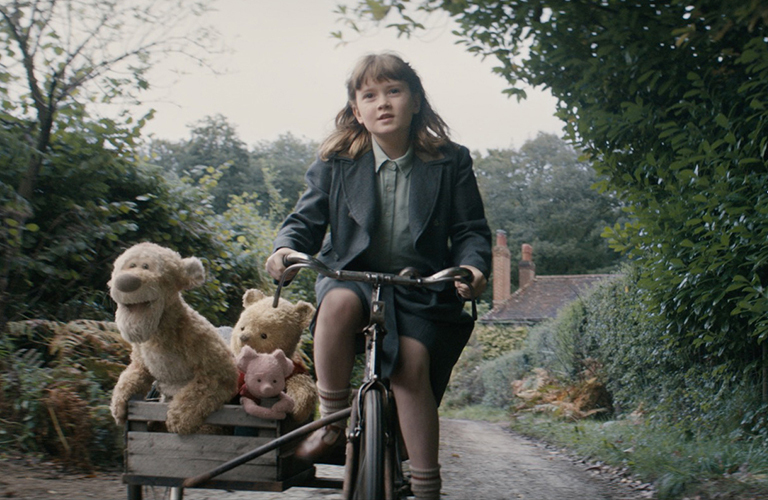 This summer, rediscover the simple pleasures in life by sharing Christopher Robin. You can use your Disney Rewards Redemption Card to redeem Disney Rewards Dollars toward Disney movie tickets at AMCTheatres.com or on the AMC Theatres Mobile App.1 Just load your Disney Rewards Redemption Card and use as a form of payment when purchasing tickets including Christopher Robin this summer.